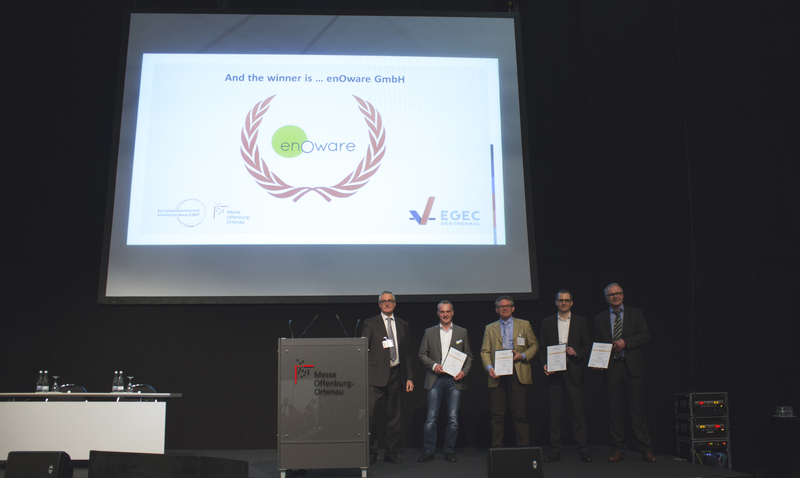 enOware GmbH received the European Geothermal Innovation Award 2017 during the opening session of GeoTHERM exhibition and Congress 2017 in Offenburg, Germany. 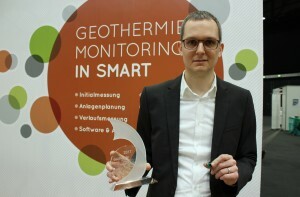 The award was given for their miniaturised sensor which allows to professionally plan, monitor and measure near-surface geothermal probes. The jury for the 2017 edition of the award was composed of Ruggero Bertani (Italy), Adele Manzella (Italy), Sandra Kircher (Messe Offenburg), Pierre Ungemach (France), and Javier Urchueguia (Spain). 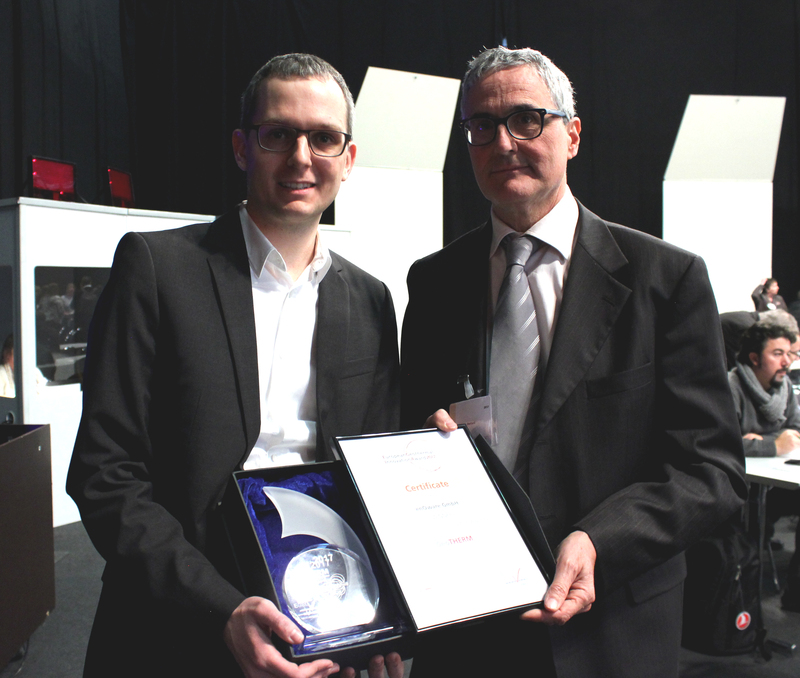 The European Innovation Award, now in its fourth year, is an initiative of the European Geothermal Energy Council and Messe Offenbourg. The award is given to companies that have made an outstanding contribution towards the field of geothermal energy in the form of innovative products, scientific research or project initiatives.